WISER is a European initiative that puts cyber-risk management at the very heart of good business practice, benefitting multiple industries in particular critical infrastructure and process owners, and ICT-intensive SMEs. 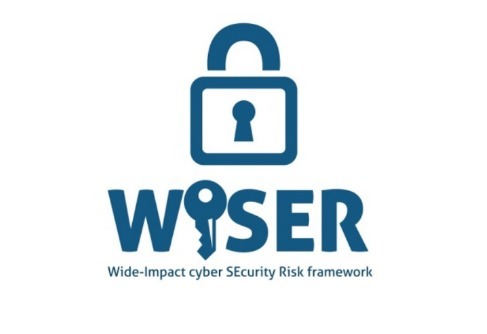 Kicking off in June 2015, by 2017 WISER will provide a cyber-risk management framework able to assess, monitor and mitigate the risks in real time. WISER will deliver a pre-packaged risk management solution for SMEs, and Risk Management Platform as a Service (RMPaaS) mode of operation for critical infrastructures or highly complex cyber systems requiring the implementation of special controls within the ICT system to be monitored. Trust-IT is leading WP7 "Market Validation and Roll-Out to Other Verticals" and WP8 "Go to market", leveraging on its experience in impact creation and market uptake, besides its hands-on experience in end-user acceptance and shaping of innovative business models for innovative ICT-intensive services & solutions. Furthermore, Trust-IT is responsible for the wiser communication strategy and implementation, as well as the stakeholder engagement. WISER has received funding from the European Union’s Horizon 2020 research and innovation programme under the Grant Agreement no 653321.